This is the most impressive bathroom wall I've come across in months. Definitely, way more different than this modern black or this natural stone ones, these patterned cement tiles create an instant impact to the visitor. The white walls and accessories, the plain and sleek wooden vanity and the assorted baskets storage create a neutral background only to emphasize the colorful wall. P.s. 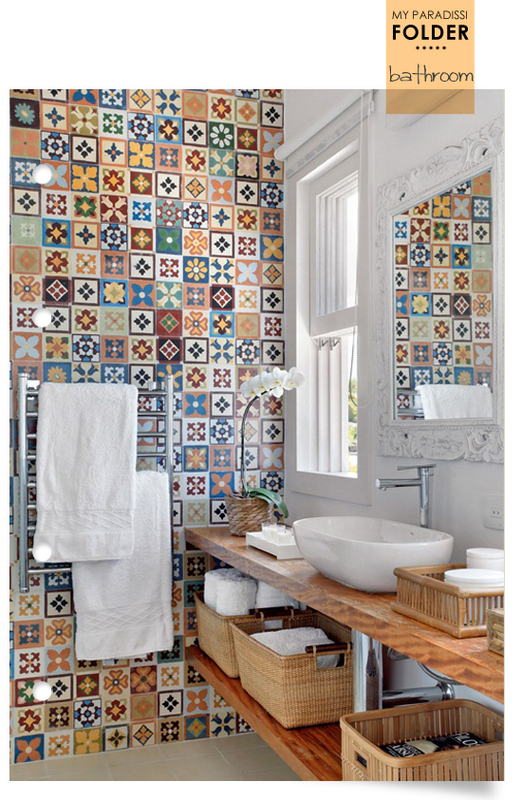 A Cretan tile creator we are very proud of and a great Australian one. I love the patterns ! can be a very nice wallpaper in the toilet !